As a young boy, Mongane Wally Serote read a lot. From novels to newspapers, he read everything he could get hold of while attending school in Alexandra in the 1950s. But his favourite was always poetry. Reading the likes of William Wordsworth, DH Lawrence and John Keats, Serote was inspired. “There was something about the manner in which they wrote and the content about which they wrote that inspired me to write,” Serote said. And so, at the age of 14, Serote started to write his own poetry. Little did he know it would mark the start of a long and celebrated career as a poet, a writer and an activist both in the Black Consciousness Movement and in the South African struggle for liberation. “I was inspired by English poetry, but then I discovered that I could write about our own situation and that’s what I set out to do: to write about South Africa and to write about the life that we live,” Serote said. His critically acclaimed novel “To Every Birth Its Blood” (1981) deals with the 1976 Soweto uprising and its aftermath, and his celebrated poems, including City Johannesburg and Alexandra, explore the nuances of life under apartheid. Serote’s vast body of work is often credited with introducing the voice of Black Consciousness to South African literature and advancing principles of social activism and resistance. Serote was awarded The Order of Ikhamanga in Silver in 2007 for his “excellent contribution to literature, with emphasis on poetry, and for putting his artistic talents at the service of democracy in South Africa”. And on Monday Serote received an honorary doctorate degree from the University of Johannesburg in recognition of his contributions to poetry, literature and philosophy in South Africa. “Mongane Serote is a true African intellectual in the tradition of the African philosophic sage: a profoundly wise person. "He is the embodiment of philosophy as the love of wisdom, in the context of both traditional and modern Africa,” said Alex Broadbent, a professor of philosophy and the executive dean of the faculty of humanities at the University of Johannesburg. But according to Serote, the purpose behind his prose is much more personal. 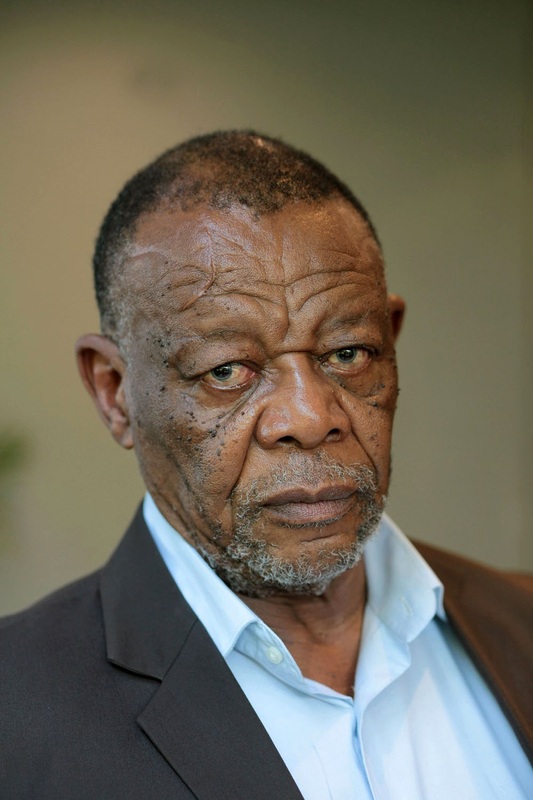 “I wanted to understand my being a black person from a positive point of view,” Serote said. “I wanted to communicate about life – my experiences of myself, of other people, of being a South African. Yet despite being a prolific poet, Serote’s proudest life accomplishment has been to serve his country. Serote spent nine months in solitary confinement in an apartheid prison in 1969 under the Terrorism Act. He then spent eighteen years in exile before finally being allowed to return to South Africa in the early 1990s. “I was prepared to lay my life down for the freedom of my people and I aspired for freedom and stability for my country,” Serote said. Now, Serote urges the ministers of higher education and of basic education to prescribe more South African literature – literature representative of the voices of the South African people – in South African schools. “We are a country with generations of writers in all South African languages,” Serote said. Serote currently leads postgraduate students at the University of Johannesburg in a project to document Indigenous Knowledge Systems at the African Centre for Epistemology and Philosophy of Science. He is also working on a biography of struggle stalwart Ruth Mompati.